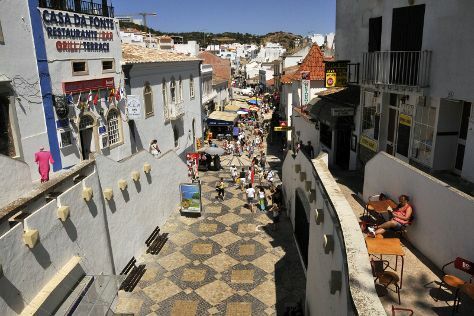 Renowned for its extensive beaches and rugged coastal landscape, Albufeira represents one of the nation's most popular destinations and offers a wide array of accommodations, both luxurious and more basic. Reserve a room in one of the city's upscale hotels in order to make use of pools, lounges, gardens, and amenities during your stay. Not only do they offer in-house luxuries, but generally these hotels place you within easy walking distance of the city's famed Praia dos Pescadores beach. While there aren't as many inexpensive options in town, staying at an inland bed and breakfast or a guesthouse in one of the smaller nearby towns can be both a relaxing experience and an affordable one.